A blog showing videos of handcuffs, various brands and models such as Smith & Wesson, Peerless, Yuil, ASP, Clejuso and more. These are NATO standard: NCAGE: 2034H standard chain link stainless steel handcuffs by KEL-MET. They are not, as far as I know, certified by the NIJ. However they are certified by NATO. However this being the case, I personally believe the box that they come in looks terribly unprofessional, like something that came out of a 1980's children's comic series. Don't be fooled though, they are legitimate NATO certified professional chain-link handcuffs. The size capacity of these handcuffs is similar to UK Police speedcuffs. The larger size. I can close them one click and easily pass my hand through the hole, something which is impossible for me on "standard" size cuffs. They are a very solid, smooth operating pair of handcuffs. They use a non-standard key and have 2 pawl bars, so these could be considered higher than usual security although they are pickable in a similar fashion as Alcyon can be. 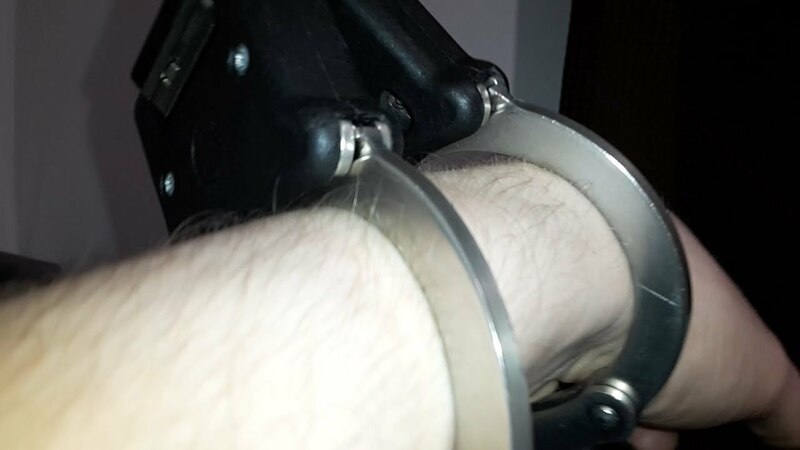 These are Polish handcuffs. So, being made in Poland, I was interested to see the quality as I have never had any from there before. Very well done. I am impressed. Also they purposefully use stainless steel to prevent the chance of skin reactions to nickel that most other companies coat their cuffs in. Subscribe to our channel for new videos! Brifield C2 High Security Handcuffs [NIJ] 3 Separated Pawls, Special Keys! Silent But Descriptive (YouTube Channel). Picture Window theme. Powered by Blogger.